MEGA SLIDES, DISCO CASTLES, DISCO DOMES, TODDLER CASTLES, SOFT PLAY, BALL POOLS & MORE! 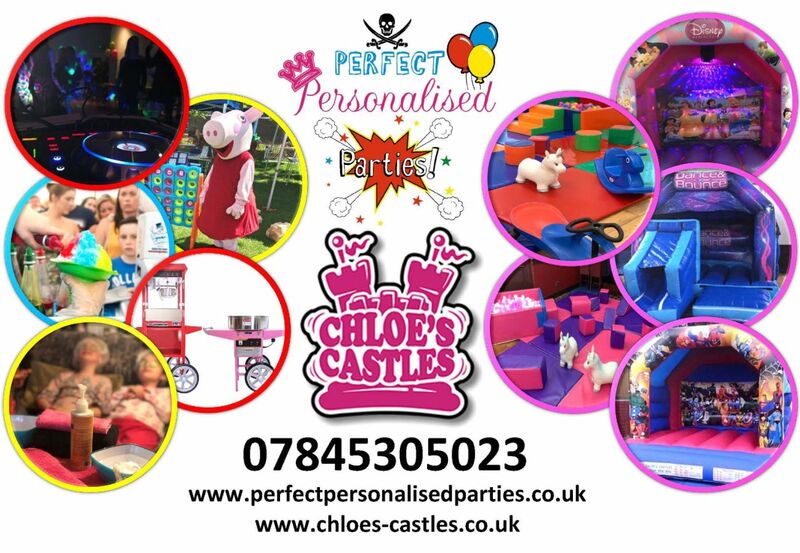 At the start of 2019 Chloes Castles become part of the multi award winning, 'Perfect Personalised Parties UK', family. This means more services are available for your event along with packages too. Please click on tab at the side for all of the services available!